Begin your day at Duinvermaak, where you can easily park your car or make arrangements to go on a collective cycling trip. This former tavern has existed for 400 years, and people used to come here on foot or with a horse and cart from the whole surrounding area. 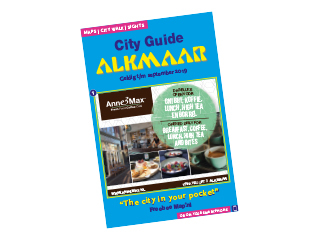 This trip will show you how the area has changed from woodland to stunning rolling polders, and you will then arrive in Alkmaar, a very popular tourist town in North Holland! Cycle past the lovely courtyards and impressive canals. On the way you will pass various windmills, in particular the ‘Piet’s Windmill’ – generations of the Piet family have lived here since 1884. Leave the town and cycle through the polder via the bulb fields to the North Holland Dune Reserve, where the surroundings become increasingly greener and lusher. In Bergen aan Zee, stop off at the Sea Aquarium and admire the wonders under water. The landscape will gradually change and you will come to the dune area. Stop by the Landgoed Huize Glory hotel and look at how high the tops of the dunes are – some are as high as 30 metres! Enjoy the beautiful view from the terrace.